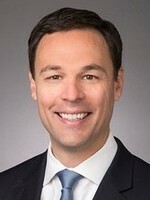 Issue: Whether the court's decision in Harrington v. Richter silently abrogates the presumption set forth in Ylst v. Nunnemaker — that a federal court sitting in habeas proceedings should “look through” a summary state court ruling to review the last reasoned decision — as a slim majority of the en banc U.S. Court of Appeals for the 11th Circuit held in this case, despite the agreement of both parties that the Ylst presumption should continue to apply. As SDFLA blog readers know, I do not use this forum as a place to discuss my cases. I use this blog as a place to cover news in this District and other court news that I find interesting. Every now and then there is an exception, and this is one of those times. Today we grieve in solidarity with the victims of Sweden while the official organs of American government ask that we kindly get over our hangups and just accept the simulation they prefer. It’s how we do things around here now. Which is not dissimilar to the role criminal defense attorneys routinely play. When you think about it, asking reasonable people to accept all sorts of ludicrous alternative theories in the spirit of creating that shadow of a doubt is a time-honored tradition. … Because defense attorneys are definitely respecting the tricks and tactics of the administration. But he’s got the analogy backwards. Our Founders created a system with a robust bill of rights so that the media and lawyers could act as a check on the executive branch. Criminal defense lawyers are the cornerstone of our criminal justice system, just as a free press is the cornerstone of our democracy. The media must be permitted to call out the executive branch when it is less than fully transparent and accurate. So too must the criminal defense lawyer call out the executive when it fails to prove its allegations. Patrice's thinking -- that criminal defense lawyers are out there using tricks to subvert the truth -- has led to all sorts of problems in our system: innocent people being forced to plead guilty, prosecutors holding back evidence (see, e.g., Ted Stevens), and so on. One study says that 10,000 innocent people are convicted each year. Forcing the government to back up what it says with actual proof instead of baseless statements isn’t a “trick” or “tactic.” This isn’t a defense lawyer “flipping th[e] script” as Patrice describes it. It is exactly the script that our Constitution dictates and one that I and other criminal defense lawyers are proud to carry out. William J. "Bill" Zloch (born 1944 in Fort Lauderdale, Florida) is a Senior United States District Judge, as well as a former American football quarterback and wide receiver for the University of Notre Dame. Following the departure of Heisman Trophy winner John Huarte in 1965, Notre Dame football coach Ara Parseghian was faced with a wide-open competition for the quarterback position. He opted to move senior Bill Zloch from wide receiver to quarterback for the 1965 season. Directing a team that was heavily run-oriented, Zloch finished the season completing 36 of 88 passes for 558 yards and three touchdowns. The team finished 7-2-1 and ranked 8th nationally. After graduation, Zloch spent three years in the United States Navy, achieving the rank of lieutenant, then returned to Notre Dame Law School, completing a Juris Doctor in 1974. He returned to Fort Lauderdale to begin a private law practice. On October 9, 1985, President Ronald Reagan nominated Zloch to a newly created seat on the United States District Court for the Southern District of Florida. He was confirmed by the United States Senate on November 1, 1985, and received his commission on November 4, 1985. On July 1, 2000, he began a seven-year term as Chief Judge of the district, ending on June 30, 2007. He was succeeded as Chief Judge by Judge Federico A. Moreno. He assumed senior status on January 31, 2017. Judge Zloch on August 21, 2009 sentenced UBS whistleblower Bradley Birkenfeld to 40 months in prison with 3 years probation and a $30,000 fine, a term that was harsher than the prosecutors wanted. "Assistant U.S. attorney Jeffrey A. Neiman recommended that Birkenfeld get 30 months in prison for his conviction on one count of conspiracy to defraud the government -- down from the 60-month maximum sentence he is exposed to -- because of his extensive cooperation," the Miami Herald reported. The en banc 11th Circuit opinion in the "Docs v. Glocks" case is here. There are two majority opinions for the en banc Court, one by Judge Jordan and one by Judge Marcus. Judge Jordan’s opinion is joined by Chief Judge Ed Carnes and Judges Hull, Marcus, William Pryor, Martin, Rosenbaum, Julie Carnes, and Jill Pryor. Judge Marcus’ opinion is joined by Judges Hull, Wilson, Martin, Jordan, Rosenbaum, and Jill Pryor. Despite its majestic brevity—or maybe because of it—the freedom of speech clause of the First Amendment sometimes proves difficult to apply. See, e.g., Burt Neuborne, Madison’s Music: On Reading the First Amendment 5 (2015) (“Reading the First Amendment isn’t easy.”); Saxe v. State College Area Sch. Dist., 240 F.3d 200, 218 (3d Cir. 2001) (Rendell, J., concurring) (“[T]here are no easy ways in the complex area of First Amendment jurisprudence.”). Yet certain First Amendment principles can be applied with reasonable consistency, and one of them is that, subject to limited exceptions, “[c]ontent-based regulations [of speech] are presumptively invalid.” R.A.V. v. City of St. Paul, 505 U.S. 377, 382 (1992). This particular principle looms large in this case, which concerns certain provisions of Florida’s Firearms Owners’ Privacy Act, Chapter 2011–112, Laws of Florida (codified at Fla. Stat. §§ 790.338, 456.072, 395.1055, & 381.026). And that is because some of FOPA’s provisions regulate speech on the basis of content, restricting (and providing disciplinary sanctions for) speech by doctors and medical professionals on the subject of firearm ownership. Shortly after FOPA was enacted in 2011, a number of doctors and medical organizations filed suit in federal court against various Florida officials, challenging some of the Act’s provisions as unconstitutional. Ruling on cross-motions for summary judgment, the district court held that FOPA’s record-keeping, inquiry, anti-discrimination, and anti-harassment provisions violated the First and Fourteenth Amendments, and permanently enjoined their enforcement. See Wollschlaeger v. Farmer, 880 F. Supp. 2d 1251 (S.D. Fla. 2012) (Wollschlaeger I). The state officials appealed, and a divided panel of this court issued three opinions—each using a different First Amendment standard of review—upholding the challenged provisions of FOPA. See Wollschlaeger v. Governor of Fla., 760 F.3d 1195 (11th Cir. 2014) (Wollschlaeger II); Wollschlaeger v. Governor of Fla., 797 F.3d 859 (11th Cir. 2015) (Wollschlaeger III); Wollschlaeger v. Governor of Fla., 814 F.3d 1159 (11th Cir. 2015) (Wollschlaeger IV). We voted to rehear the case en banc and heard oral argument in June of 2016. The Court has correctly determined that the record-keeping, inquiry, and anti-harassment provisions of Florida’s Firearm Owners’ Privacy Act (FOPA), Fla. Stat. § 790.338(1)–(2), (6), plainly target core First Amendment speech. Because the State has failed to demonstrate that these provisions are narrowly drawn to directly and materially advance a substantial government interest, they cannot withstand heightened scrutiny. See Florida Bar v. Went For It, Inc., 515 U.S. 618, 624 (1995). Congrats to former U.S. Attorney and current Dean of FIU law school, Alex Acosta, for being named as the nominee for Secretary of Labor. Alex is a wonderful choice. He's smart and ethical. More importantly, he's a really good guy. Multiple sources have emailed me that Willy Ferrer has resigned today as U.S. Attorney for the Southern District of a Florida. Ben Greenberg is acting. More to follow. UPDATE -- I have it confirmed that Ferrer has stepped down. There has been no greater honor than to serve and protect the same community that opened its arms to my parents when they immigrated to this country. For almost seven years, I have been blessed to work alongside remarkable men and women in the U.S. Attorney’s Office, community leaders, and our federal, state and local law enforcement partners who strive tirelessly to combat crime and promote a safer, stronger and more united district. I am incredibly proud of all that we have been able to accomplish together, in and out of the courtroom, including building meaningful bonds of trust with the diverse community we serve. I really like the sentiment, especially the opening line about his parents coming to this country, which welcomed them with open arms. This is a real press release from the SDFLA U.S. Attorney's Office: "NEWS RELEASE: TWO MIAMI-DADE WOMEN CHARGED IN CONNECTION WITH THEIR OPERATION OF A SPA PERFORMING ILLICIT SILICONE INJECTIONS"
Maribel Jimenez, with assistance from Magaly Del Rosario, a manager of Bella Beauty, administered deep tissue buttock injections of substantial quantities of silicone, an adulterated medical device when used and intended to be used in this manner, to hundreds of Bella Beauty clients. The silicone which was unlawfully injected into Bella Beauty clients was clandestinely smuggled into the United States by Jimenez and co-conspirators by means of approximately 170 separate DHL air carrier shipments. To avoid the scrutiny of Customs and Border Protection, upon importation into the United States, each bottle contained false labelling stating in Spanish that the contents consisted of “Depilatory Wax” and alleged instructions on how to apply this purported rosin-based substance in a manner consistent with hair removal. After the injections, Jimenez had been informed by a number of Bella Beauty Spa clients that they were experiencing adverse health related symptoms. Jimenez and Del Rosario failed to advise the clients that silicone had been injected into their bodies. The defendants also intentionally concealed the potential health consequences arising from the injection of silicone into their clients’ bodies. Individual clients of Bella Beauty Spa who have undergone buttocks injection procedures, regardless of how far in the past, are urged to contact bellabeautyinjections@fda.hhs.gov in order to receive additional information, address individual concerns, and to receive information concerning their status and rights as potential victims. One of the primary concerns often voiced by critics of judges using social media is that it is demeaning to the office. I do not consider this argument particularly persuasive. To be sure, a judge can demean his or her office through the use of social media, just as he or she can do so at a local bar event by engaging in unprofessional behavior. The difference is that an unprofessional remark on social media by a judge is far more likely to receive widespread attention than a similar comment made at an event in front of only a handful of people. Indeed, this type of “viral” incident can and will harm the reputation of that judge and, no doubt, the confidence that many have in the judiciary. Nevertheless, the fact that there is the potential for some judges to embarrass themselves on social media is not, in my view, a compelling reason to support a blanket ban of all judges doing so. One could even argue that there is some benefit to having the missteps of judges documented on social media, just as the missteps of other elected officials are documented. Transparency reveals what it reveals, and it is not always going to be pretty. But knowing more about our public officials’ actions and beliefs allows us to make informed decisions on Election Day. And that, in my view, is a good thing. But what about Federal Judges? Should they be using social media? Some judges, like 7th Circuit Judge Posner, are prolific bloggers. Or at least used to be. I really enjoyed District Judge Kopf's blog, but that was shut down too. And now, of course, there's #appellatetwitter (see the law.com article here). You can guess my opinion... we need more interaction with the judiciary and social media is a good place for it. But it's hard to imagine some of our federal judges tweeting. "How ritual chicken sacrifices in Miami helped halt Trump’s travel ban"
In ruling against President Donald Trump’s “Muslim travel ban,” a trio of federal judges relied in part on a distinctly South Florida court case — one that granted religious protections for the ritual sacrifice of chickens and goats. The unanimous ruling Thursday night upholding a halt to the White House executive order cited a famous 1993 U.S. Supreme Court decision that overturned a Hialeah law banning Santería animal sacrifices. Justices found that the city ordinance infringed on constitutionally protected freedoms. The ruling by the U.S. Court of Appeals for the Ninth Circuit court made clear that judges can consider outside statements made by elected leaders — in this case, President Donald Trump himself — in trying to figure out if the intent of a government action was to discriminate against a religious group. “In Hialeah in the 1990s, it was Santería. With Trump, it’s Muslims,” said University of Virginia law professor Douglas Laycock, an expert on religious liberties who successfully argued the Hialeah case. In an earlier interview, Luck told the Daily Business Review that Carnes taught him "lawyers and judges, both orally and when we write, should speak in a way that the everyday person can understand." During Luck's time at the U.S. Attorney's Office, he handled 19 jury trials — a rarity for a young lawyer. Luck secured a guilty plea in the largest student visa fraud to date. He also persuaded a court to impose a 20-year prison sentence on a doctor who ran a $50 million Medicare fraud scheme, and he got a guilty plea from a boat captain who tried to smuggle dozens of Dominicans into the U.S.
Luck became a circuit judge the first time he applied. In August's judicial election, he kept his seat in the circuit's criminal division by a margin of 53.5 percent to challenger Yolly Roberson's 46.5 percent. 2. Tonight is the big shindig for the Federal Bar Association at the Hyatt. It's the "36th Annual Federal Judicial Reception" from 5:30-8:30. Enjoy! 3. And tomorrow is the DCBA's Bench and Bar conference. Lots of interesting panels. They stuck mine during the lunch hour... I'll be moderating a panel at noon on "Trends in Criminal Law" with some great speakers including Judges Milton Hirsch and Nushin Sayfie, Federal Public Defender Michael Caruso, State Public Defender Carlos Martinez, State Attorney Kathy Fernandez Rundle, and U.S. Attorney Willy Ferrer. A Washington lawyer at a prominent firm was arrested in a disguise while trying to sell a copy of a secret lawsuit involving a company that was under investigation by the U.S. Justice Department. Jeffrey Wertkin was picked up Jan. 31 in the lobby of a hotel in Cupertino, California, where he believed he was about to collect $310,000 for selling the lawsuit, according to the Federal Bureau of Investigation. Here's the criminal complaint, courtesy of Above the Law.